Helmut List is currently Chairman and Chief Executive Officer of AVL List GmbH. Prof. List became Chairman and CEO in 1979 and established a worldwide net of subsidiaries - focusing on research in internal combustion engines and development tools. Since 1992, he has been Chairman of the R&D Working Group, Federation of Austrian Industrialists; 1997-98, Chairman of IRDAC, Brussels; 1998-2002, Member of the European advisory group (EAG) "Land transport and marine technology"; 2000, Foreign Associate, NAE (National Academy of Engineering, USA); 2000, Board Member, European Industrial Research Management Association, (EIRMA); Since 2001, Member, European Research Advisory Board (EURAB) of the EU, Brussels; Since 2001: Chairman of European Automotive Research Partners Association (EARPA), Brussels; Since 2002: Vice-Chairman of Road Transport Research Advisory Council (ERTRAC), Brussels; Since 2002: Chairman of Sustainable Surface Transport Advisory Group (SSTAG), Brussels. AVL is the world´s largest privately owned and independent company specialised in the design and development of internal combustion engines, conventional and hybrid powertrains, powertrain test instrumentation and test systems. Powertrain Engineering Division activities embrace all functions from concept definition through to production development. Supported by comprehensive in-house research, AVL´s engineering specialists design and develop engines for both stationary and mobile applications, transmissions and complete powertrain systems, including electric propulsion options, which set new benchmarks world-wide. 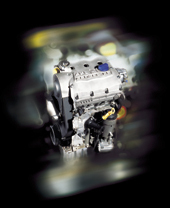 For 60 years AVL has been active in the development of engines and powertrains providing low fuel consumption. An historical milestone was, for example, the development of the direct injected passenger car diesel to production maturity. Parallel to emissions and consumption optimisation, flawless driveability has always been an important development goal for AVL. Consequently, AVL began very early on with the development of technologies and methods to analyse and optimize driveability quantitatively. To achieve a significant reduction in fuel consumption, complex hybrid systems with an increasing proportion of electrical components will be required in the future. Key elements, in addition to an optimised combustion engine, will be improved thermal management, reduction of mechanical losses, improved battery technology and model-based, real-time control systems. For AVL, not only these technologies, but also the development of appropriate development tools is of paramount importance in achieving optimisation of the whole, integrated, system, including driveability and acoustic characteristics. With wide-ranging production engineering experience, including the planning of engine and transmission manufacturing facilities, plus cutting edge application and reliability engineering capabilities, AVL is fully equipped to provide its customers with mature solutions ready for series production. The AVL Application Centre with its nearby test track has recently been added to the facilities in Graz to satisfy the increasing demands for top-quality engine and transmission calibration. All AVL´s software and methodology development capabilities for engine and powertrain simulation are concentrated in its "software house", Advanced Simulation Technologies. The AVL-designed software tools represent state-of-the-art technology based on long experience in engine and drivetrain development. These tools are not only used in-house, but also by leading engine and vehicle manufacturers world-wide. AVL provides its customers with instrumentation technology and test systems for the entire product development process right up to mass production. AVL`s product range covers all test requirements for engines, drivetrains and vehicles. AVL is a manufacturer and system integrator of complete test bed systems, delivering technologically superior tools for specific tasks, which can be individually adapted to the needs of different groups of users. The intelligent, modular organisation of the product range ensures optimum flexibility, from professional single-user applications to fully integrated systems designed to maximise productivity. In its role as General Contractor, AVL assumes responsibility for test beds, technology and buildings. The range of services covers consultancy, technology development and concept planning, detailed planning, global procurement, component supply, building, installation, commissioning and project management. Complementary skills and close interdisciplinary cooperation between its divisions are the key to AVL`s unique problem-solving potential. This is exemplified, for instance, by the joint development of unique methodologies and software tools to assist the increasingly complex task of calibrating electronically controlled powertrains.